This morning, my friend and I set out early and birded the towns of Rosetown, Zealandia , Harris and Milden. We had a very good day for raptors, after a pretty slow start. with an incredible 4000-5000 birds. In fact we saw several huge flocks, so I might be under-estimating just how many there were! Easily the most I have ever seen. 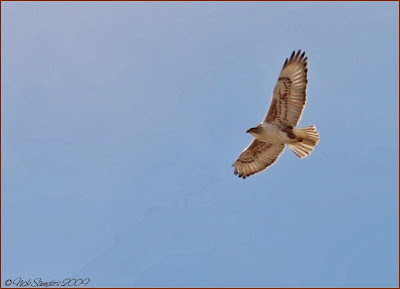 Northern Harrier - 15 , of which only 3 were females. 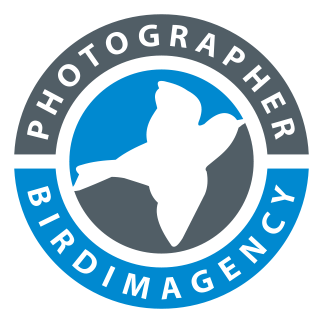 Wow that Snow Bunting is amazing ! The Snowy looks great with the frost as an added bonus. Great pictures too. That Snowy Owl looks the business. ...so that's where all of our Tree Sparrows have gone! Beautiful photos...I always love your owls. I've yet to see a Snow Bunting. Yours looks like he's happy and singing! Fantastic photos! You have the best luck finding raptors and owls! That's 5000 more buntings than I've ever seen, we don't get them around here. The snowy owl shows up in the area on occasion but I've never seen one. I guess I never saw a snow bunbting before. Nice pictures. Oh Nick! I can't even imagine seeing flocks that large. How cool! Love the snowy owl too. A very nice birding day. Congrats for the snowy owl, it is a fantastic capture!!! Nice capture of the snow bunting too, there are now leaving the city here and go to a northern area. We were out for 7 hours, so it was well worth it when we finally started seeing stuff. As I said in my post, we were only seeing Magpies, Crows and Ravens for the first couple of hours, then it was one Harrier after another....then the Snow Buntings swarmed in. Nice to see our Snow Buntings are returning. May can not come soon enough. That's a lot of Buntings,I had thought they were on their way north.Great picture of the Snow Bunting. Great to see your blog today, spring is very slow coming here. 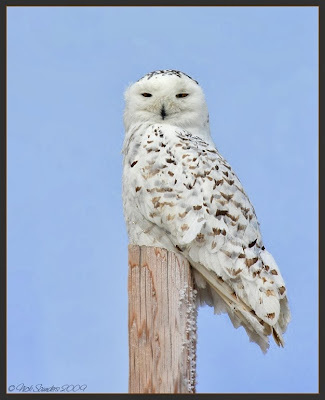 I swear that Snowy Owl is smiling in that first photo - just a fantastic shot! 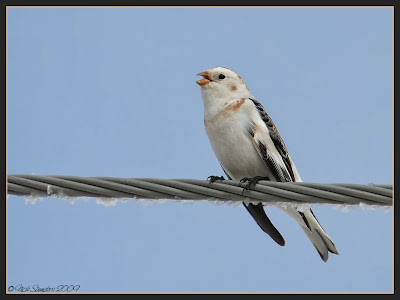 Enjoyed seeing the snow bunting - they didn't grace me w/ their presence this year. I can't even begin to think what it must be like to see a flock of snow buntings let alone 1000s! Amazing! ..and my whole year would be made to see a snowy owl!! 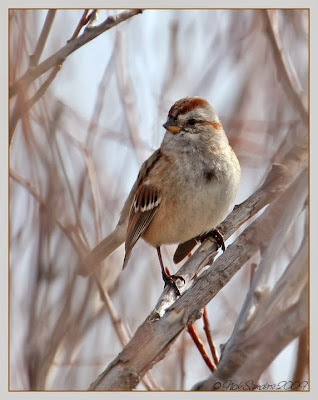 You sure do find some interesting birds and your pictures are wonderful. Excellent pics, but the dear-to-my hearts are the snowy owl and snow bunting! Nice!